A Freedom of Information Act request filed by former Congressman Bob Barr seeks to discover whether the Department of Homeland Security has been keeping tabs on the Drudge Report and other prominent media outlets who have spearheaded a nationwide revolt against invasive TSA airport security measures. 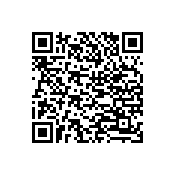 The FOIA request, filed by Barr’s Liberty Guard organization (PDF here), demands that the Transportation Security Administration, an agency of the DHS, turn over all information related to “Matt Drudge,” “drudgereport.com,” along with other media personalities and websites that have been at the center of the TSA controversy, including “Alex Jones, “John Tyner” and “prisonplanet.com”. Numerous confirmed memos originating out of federal or state law enforcement agencies, such as the infamous MIAC report, have listed conservatives and libertarians as “domestic extremists” and even potential domestic terrorists for opposing big government and supporting Constitutionally-minded campaigns and causes. The TSA has made a habit out of intimidating people into acquiescing to their procedures. The organization admitted that the introduction of invasive pat down measures was a ploy to make people choose to go through naked body scanners, while threats of $11,000 fines for people who refused to be sexually molested by TSA workers were also aggressively circulated by the federal agency. Barr’s attempt to discover whether the federal government is treating critics of the TSA as domestic extremists is key in light of TSA chief John Pistole’s announcement yesterday that all travelers flying in US airspace would be checked against a government watch list before they are given permission to board an aircraft, a system some have likened to Communist-style internal checkpoints. 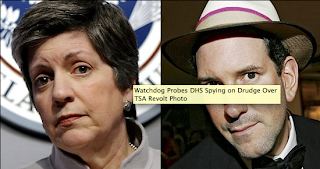 The notion that Matt Drudge, a constant thorn in the side of ‘Big Sis’ Janet Napolitano, along with other prominent media critics of the TSA, could be the target of DHS surveillance is hardly far fetched considering the fact that Homeland Security was caught recently spying on Tea Party groups as well as State Representative Daryl Metcalfe. The TSA is turning into an arm of the DHS’ political police force – how long before Matt Drudge, Bob Barr and Alex Jones are put on a list and prevented from flying? Will everyone who opposes being radiated in a naked body scanner or having their kids felt up by TSA goons be put on a list? Drudge has been at the forefront of a national rebellion against the TSA’s new enhanced pat down procedures which subject travelers, including children, the disabled and the elderly, to humiliating treatment which falls not far short of sexual molestation.